Why Are My Insurance Rates Going Up?? The property & casualty (P&C) insurance market cycle is cyclical to some extent like the real estate market. It’s characterized by periods of soft market conditions, in which premium rates are stable or falling and insurance is readily available, and by periods of hard market conditions, where rates rise, coverage may be more difficult to find and insurers’ profits increase. The P&C insurance market has been soft over the past 6-7 years, but beware, that’s starting to change. A driving factor in the P&C insurance market cycle is intense competition within the industry. Premium rates drop as insurance carriers compete vigorously to increase market share. As the market softens to the point that profits diminish or vanish completely, the capital needed to underwrite new business is depleted. In the up phase of the cycle, competition is less intense, underwriting standards become more stringent, the supply of insurance is limited due to the depletion of capital and, as a result, premiums rise. The prospect of higher profits draws more capital into the marketplace leading to more competition and the eventual down phase of the cycle. 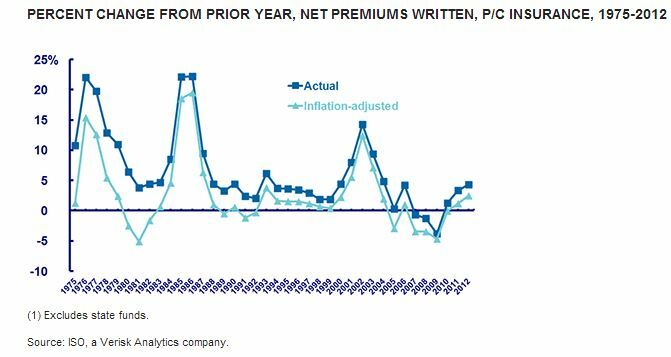 The chart below shows the real, or inflation-adjusted, growth of P&C net written premiums over more than three decades and three hard markets. This chart uses net written premiums, which reflect premium amounts after deductions for reinsurance transactions. During the last three hard markets, inflation-adjusted net premiums written grew 7.7 percent (1975 to 1978), 10.0 percent (1984 to 1987) and 6.3 percent (2001 to 2004). If you’re renewal premium is going up, contact your independent insurance broker to discuss ways to help curb the costs. If you’re not getting the service you expect from your broker, contact me and we can discuss your situation and review ways to find a resolution. 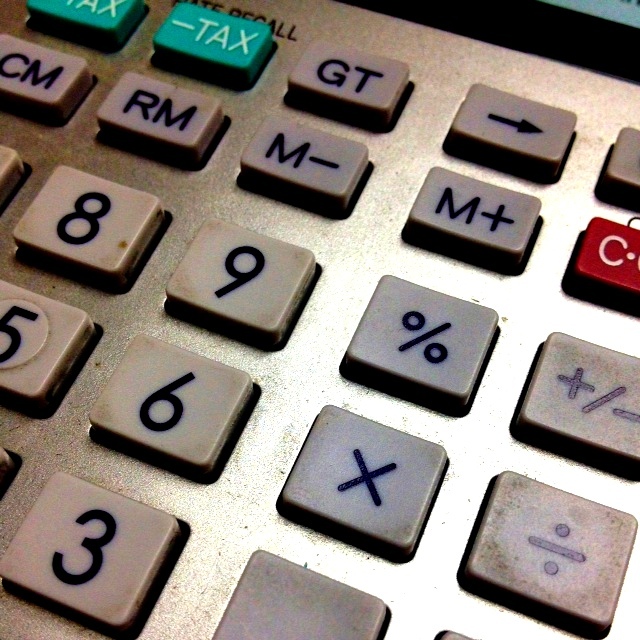 How Are Commercial Insurance Premiums Determined? The way an insurance policy is rated determines how the policy premium is developed. Rating factors vary based on the line of insurance you are purchasing. If you are purchasing commercial property insurance, the building rating formula is based on factors including square footage, type of construction, sprinklered or non-sprinklered, the fire protection classification, etc. If you are purchasing general liability insurance, the rating formula can be based on square footage, payroll, or gross sales depending on the general liability classification codes used. These are known as rating exposures. Once the rating exposures are identified and the deductibles selected (usually from information you have provided on the application), the premium is calculated by a simple formula: rate x exposure = premium. The deductible amount you choose will be calculated in the rate. The higher the deductible (the amount you choose to self-insure) the lower the rate. By utilizing higher deductibles, you can bring your premium cost down; however, you do not want to jeopardize your company’s financial future by choosing overly large deductibles. Speak with your broker-agent for the deductible options available to you when purchasing commercial insurance. It’s more CONVENIENT to call one office…..don’t waste your time calling several brokers to see who handles a service or claims issue. It’s LESS EXPENSIVE: think about multi-policy discounts and avoid buying the same coverage twice from separate brokers. It provides SECURITY to know your Account Manager has reviewed and coordinated all your policies to avoid “gaps” in your insurance protection. It enhances CLAIMS VALUE by charging one deductible or consolidating claims with one adjuster if multiple policies are involved. A lot of people have a misconception that insurance brokers are simply “quote messengers” and it drives me crazy. “Oh, I need insurance so I am going to call a handful of brokers, give them a few details, let them plug them into a computer and we’ll take the lowest price provided.” Don’t get me wrong, it’s nice to get multiple opinions and cover all the bases, but insurance brokers can and should provide a lot more value than this. In writing insurance for your business, finding the best policy for your needs is the first step, but what about all the other risks your business is exposed to? Think about it….loss control and safety, human resources services, claims management, employee handbooks, etc. Who do you call when you need help with this stuff? I hope my clients are calling ME! I have working relationships with highly trained safety consultants, HR professionals, payroll representatives, bookkeepers, etc. The list goes on. By starting with the basics, you can control those drivers that affect your insurance costs. When it comes to your business insurance, be proactive, not reactive when deciding on the right coverage for your protection. Trust me, if you try to wing some policy together which you know nothing about, you’re going to pay a lot more than you ever would if you had an insurance partner do it right for you from the beginning. Don’t look for a quote messenger, look for a broker who’s going to be your partner and advocate in protecting your business. 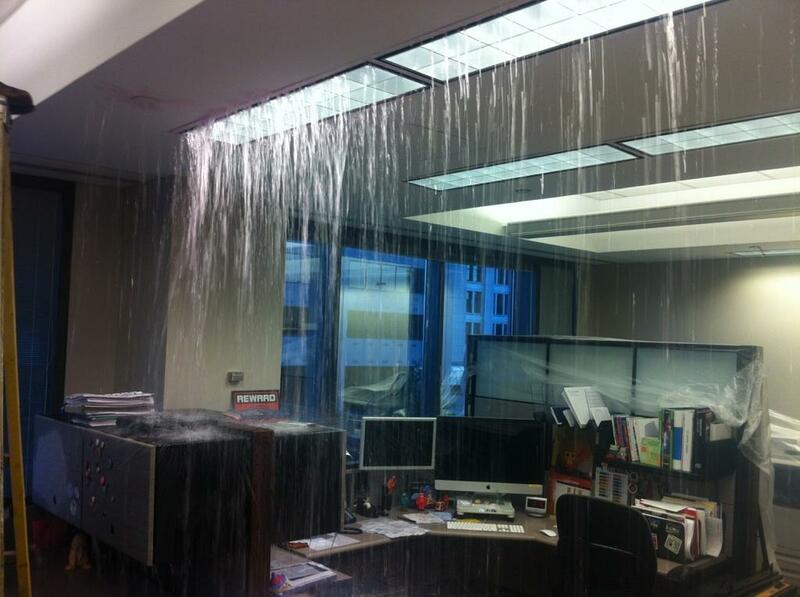 Looking at this picture, I’ll guarantee you this business didn’t expect Niagara Falls to be suddenly pouring through their ceiling on this day. Which leads me to the topic of insurance. Insurance is intended to cover sudden and unexpected losses like burst pipes and fires among other things. Let’s hope this business didn’t skimp out on insurance to save money thinking this would never happen to them. Not only is there a major property loss, but what about the downtime and all the intangibles you don’t even think about that result from a loss. What if you’re the business located downstairs? The point is, a loss can happen to anyone, anytime. Be prepared. Be proactive, not reactive. A loss to this magnitude can put you out of business for good if your don’t have the proper risk management tools in place. Don’t wait to learn the hard way.